London Festival Opera has a significant artistic reputation and many charities have engaged the company to create a special event to attract both sponsorship and raised funds from ticket sales. LFO has appeared at many prestigious events and has significant marketing material to assist in promoting a charity fundraising event. You may choose to present a highlight performance in costume from an opera such as ‘Carmen’, ‘Madame Butterfly’, ‘The Magic Flute’ or ‘La Traviata’. Alternatively, if your event is centred around a dinner, we can present a ‘cabaret’ style performance dovetailing the courses of the meal. 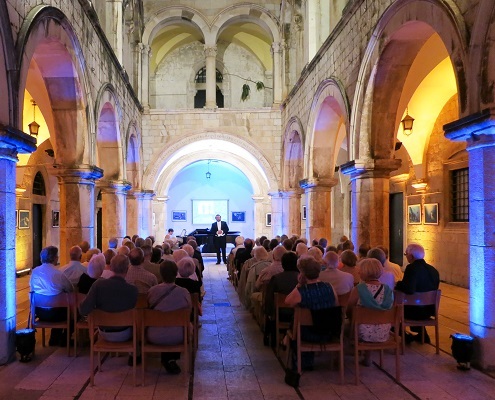 There are many options to choose from and we would be delighted to put together a programme which will perfectly complement and enhance your event. 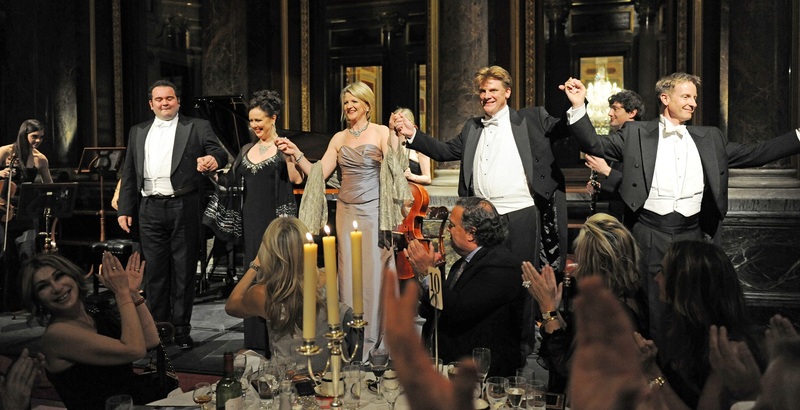 Our opera singers can appear in glamorous modern dress or period evening dress to create an added visual impact, which works particularly well in an historic setting. Accompaniment can be solo piano, an instrumental ensemble, full orchestra or recorded orchestral tracks. Opera is about passion and drama, but there are also many lighter moments: Carmen can serenade the guest of honour and give them flowers as she does in the celebrated ‘Habanera’ and Figaro, the ‘Barber of Seville’ and interact with the audience in his famous aria. 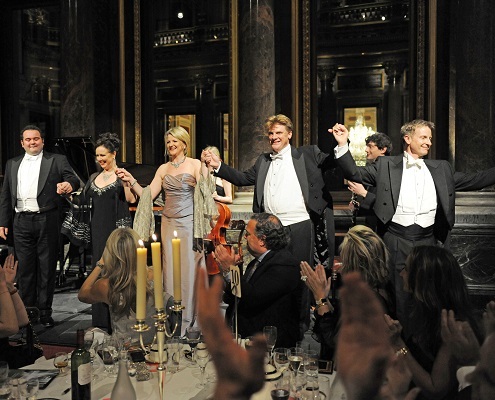 A ‘Surprise Start’ where the singers appear to be waiters or fellow guests, who burst into song to the amazement of the audience can be a perfect start to a charity fundraising event. Please see our page on ‘Singing Waiters’ for more details. London Festival Opera has presented performances for many charities in the UK and overseas including: The Animal Health Trust; The British Red Cross; The Duke of Edinburgh’s Award; Mencap; Tommy’s Campaign; Tusk; Cancer Research; The Blue Cross; English Heritage; Friends of Dulwich Picture Gallery; The Arthritis Research Campaign; Sue Ryder Homes; The National Society for Epilepsy; Barnados; Cancer Relief Macmillan Fund; Sir Winston Churchill Memorial Concert and Hedge Funds Care UK.